This delicious Italian Torrone Semifreddo contains raw yolks. To avoid any risk of foodborne, use only very fresh and trusted eggs. Alternatively, I strongly suggest using pasteurized eggs. 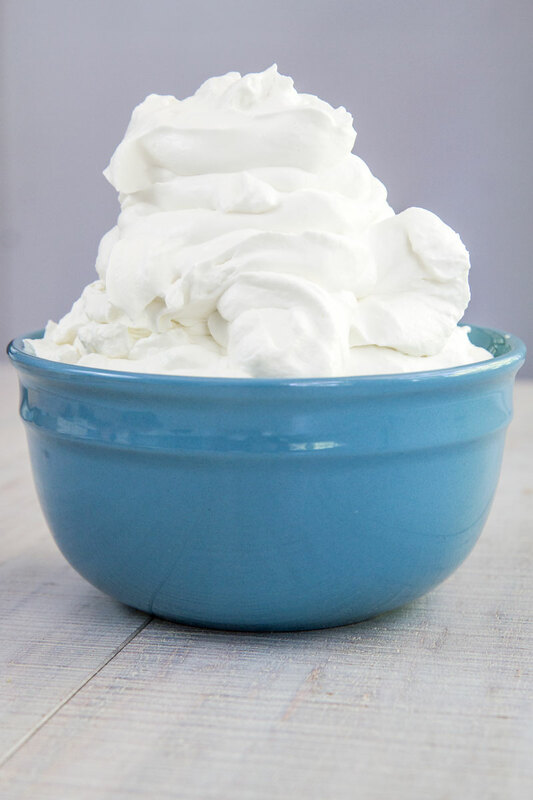 Pour the cream very cold in a bowl and whip it with an electric mixer until extremely firm, then store in the fridge. After that, reduce the chocolate bar into not too small chunks, then reduce the torrone into similar size pieces. 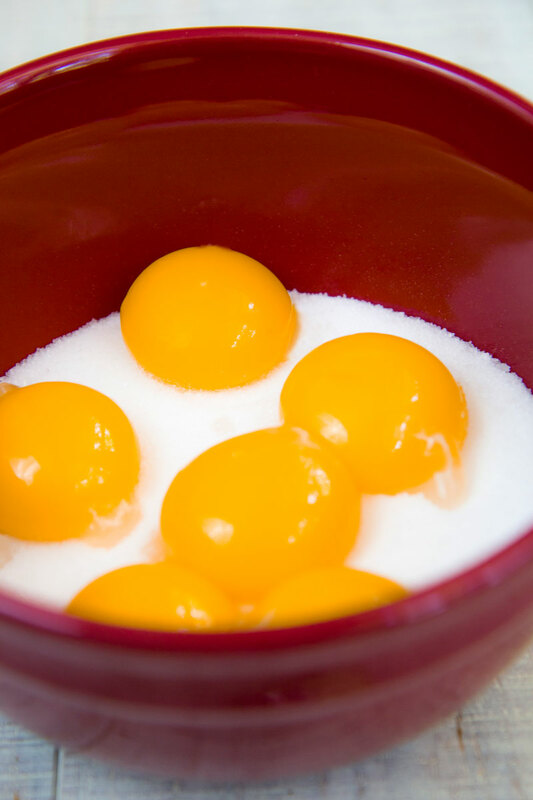 Crack the eggs and divide the yolks. Waste food is a shame, so consider to use the whites to prepare something else, for instance, my meringues 🙂 . 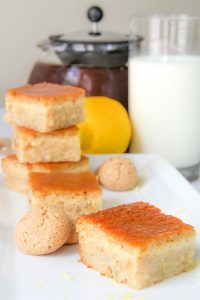 Combine the yolks with the caster sugar and a drop of vanilla extract, and whisk with the electric mixer until thick and fluffy. 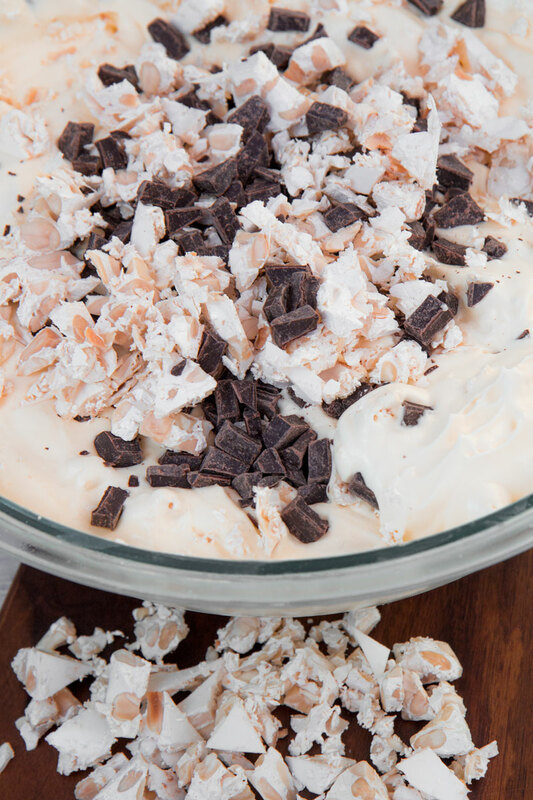 Combine the whipped cream with the yolks mixture, and torrone, and chocolate chunks. Stir carefully until very consistent, then pour all into a loaf pan. After that, store immediately in the freezer for at least 5 hours. 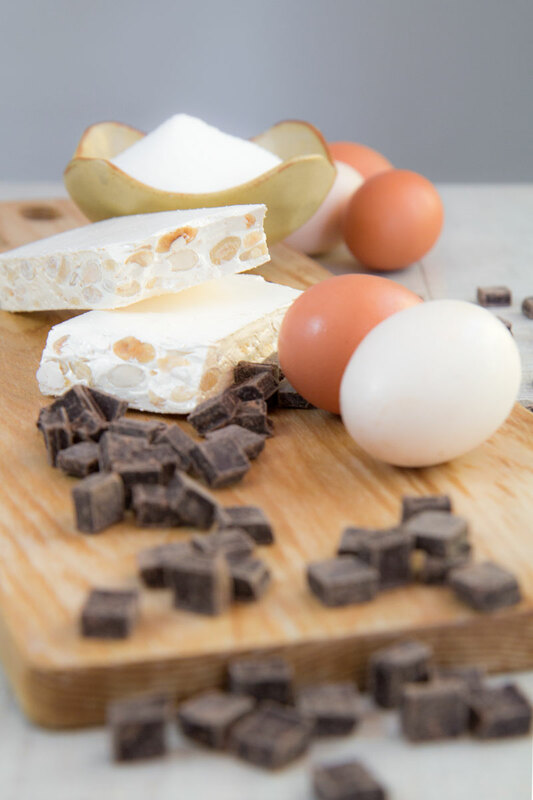 The only limit to serve the Italian Torrone Semifreddo is your creativity! The classic way is immersing the loaf pan partially into warm water for a few second, then flip it on a plate and serve sliced. 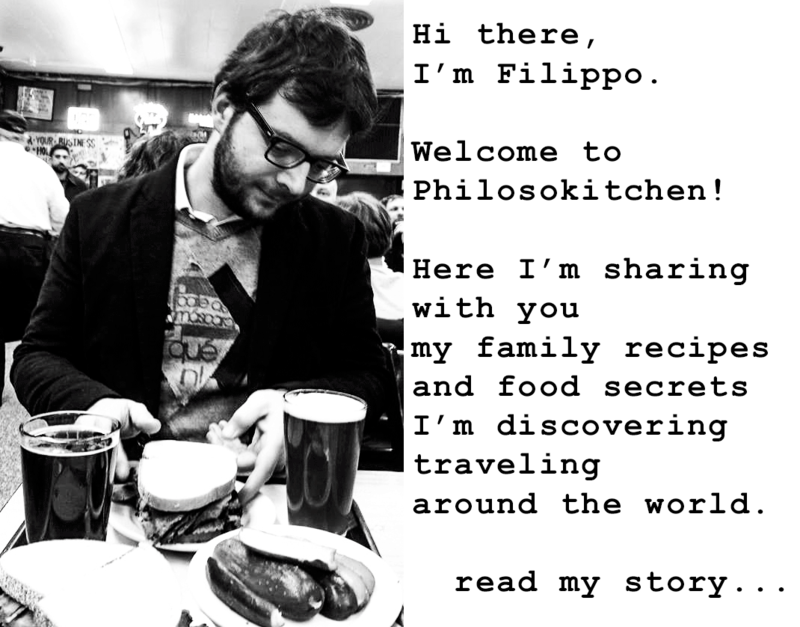 Personally, I love to serve my Semifreddo scooped like an ice cream with a drop of coffee to pour on the top immediately before eating, a little melted at the right grade! 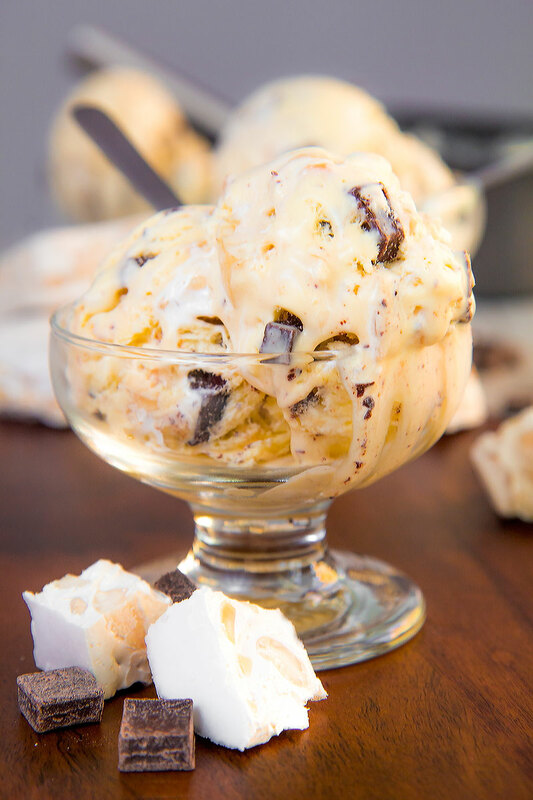 Italian Torrone Semifreddo is a dessert that I remember on my mom's table since I was a baby. 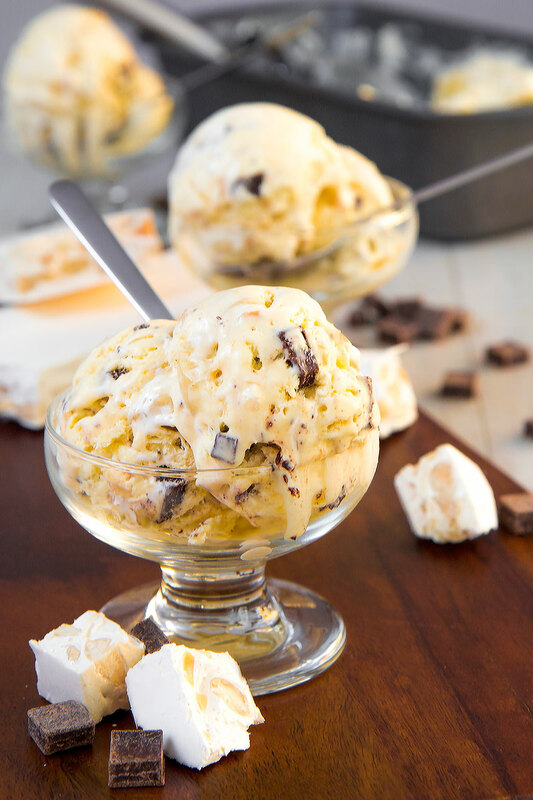 Italian nougats nuggets and chocolate chunks enrich this tasty and creamy vanilla semifreddo. My suggestion for this recipe is hard Torrone. 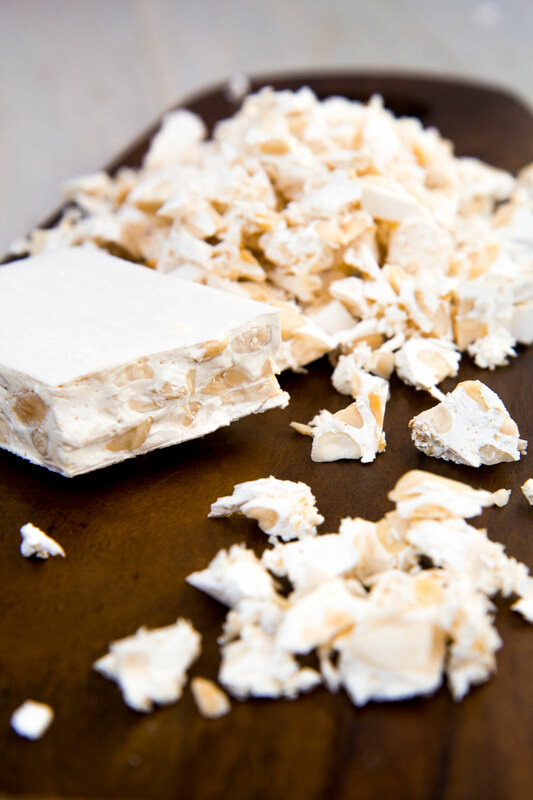 If you prefer the soft Torrone, the result will be less crunchy, but delicious as well. This recipe is perfect for any gathering with family and friends!